Although I should have learned my lesson last year, I decided on an early morning visit to the Beaver Lodge at Conner’s Creek. The lodge is on the property of the Edison Boat Club and sits along the bank of the old canal that once serviced the power plant and feeds into the Detroit River. I’ve been to the place many times over the past few years to check up on my old castoral friends. 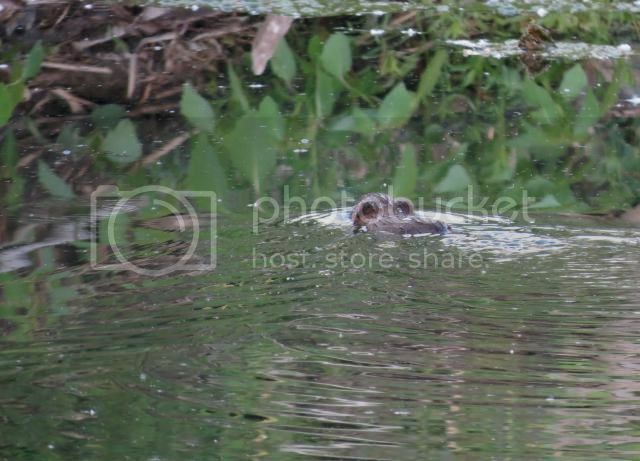 Beavers are nocturnal, and these urban beavers are especially so during the summer. They are often daytime active during the fall and this has proven the best – and so far, only – time to observe them under the light of the sun. My recent effort was to see if the pair had any new young and to see these little guys when they were still small. I thought it worth the time to come right at sun rise before they, or as they, retreated to the daytime comfort of their lodge. It didn’t work last year, and it didn’t work this year. It won’t work next year either, but I’ll probably try it again anyway. My effort did not go totally unrewarded, however. Here, surrounded by the sounds of sirens, brick buildings, power lines, and the abandoned fields of an old cityscape, wildlife abounds. Sitting rock still on a bright morning (moving occasionally only to sip on my coffee) I was relatively undetectable by wild passersby. 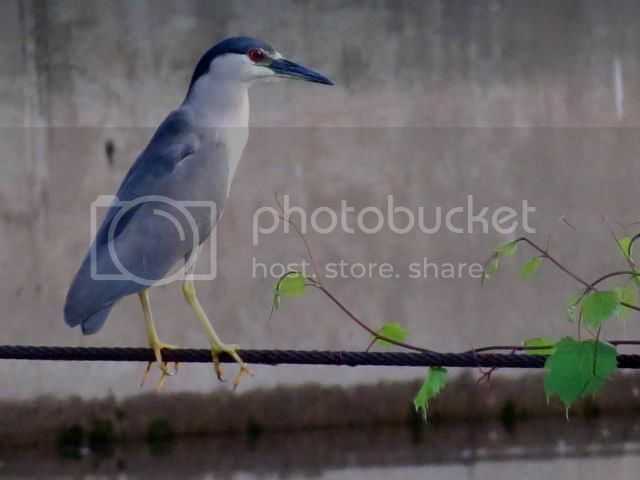 A Black-crowned Night Heron stopped in for some fishing (see above). Perching on a grapevine wrapped cable, this individual was topping off his night with a regular visit to one of his old haunts before roosting for the day. 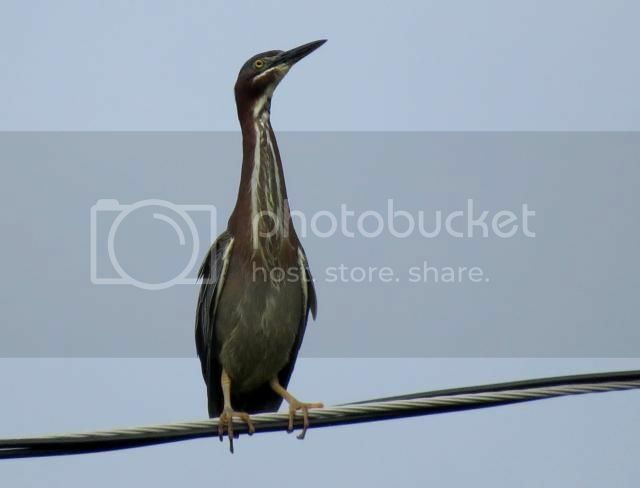 The appearance of a lanky Green Heron (see below), landing uncomfortably on one of the power lines, signaled the heron dayshift. This bird opted to forgo the canal and continued north – probably to the small city park located on the Detroit River. Barn and Tree Swallows flittered past, along with the ever-present and ever-noisy Red-winged Blackbirds. 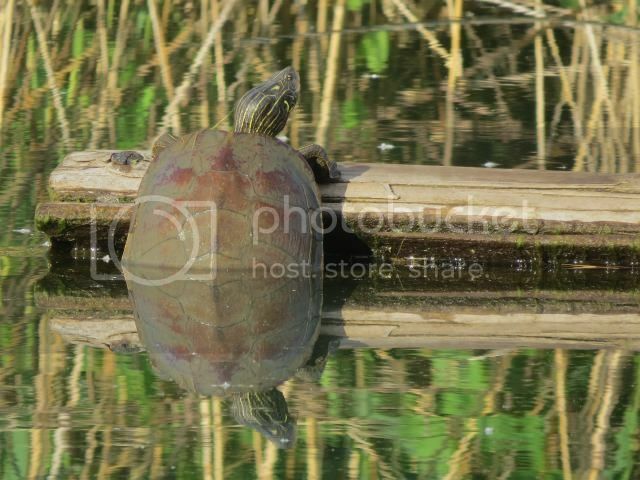 The semi-submerged telephone pole, which forms the roof of the beaver lodge at its dry end, served as a sun porch for several large map turtles. 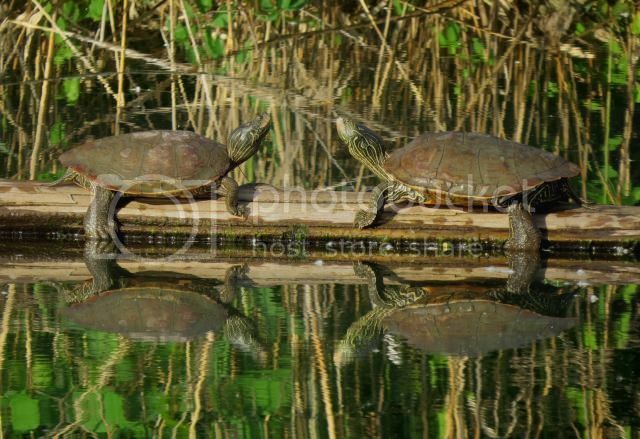 These ponderous reptiles slowly made their way up onto the log one by one. At one point two of them sat face to face as perfect mirror images of each other before a third broke up the symmetry with an off-center entrance. All of this was entertaining, but from my point of view, however, the most interesting visitors of the day crawled up on the bank literally at my feet. 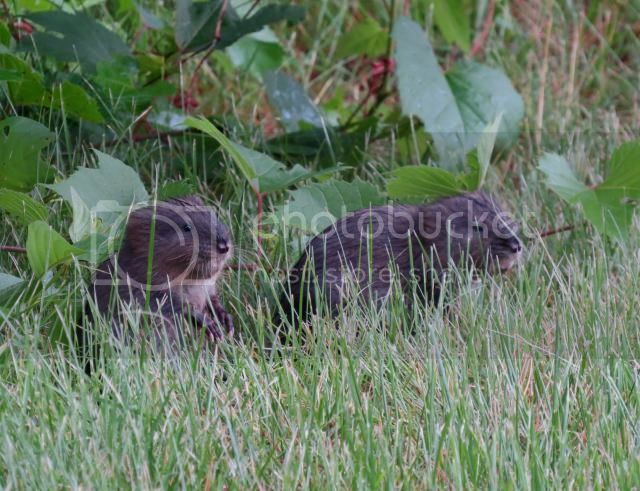 Starting with one very cautious little muskrat making its way into the white clover patch to my right, a total of five of the little beasts ended up munching on the greenery. 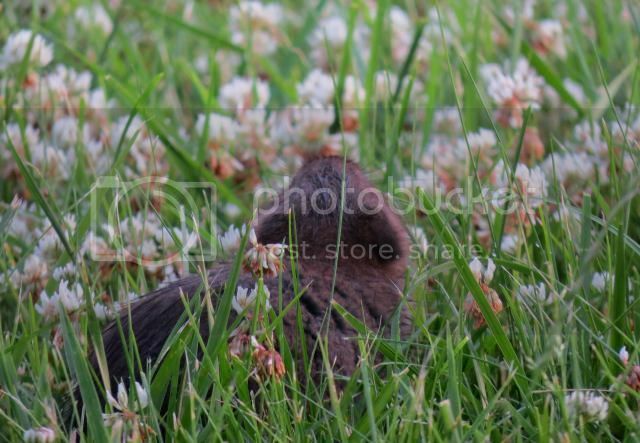 The grass was a bit shaggy and it was tall enough to nearly cover their tiny dark outlines as they grazed. The litter issued from the beaver lodge and represented the latest offspring of a family of muskrats that has been sharing the beaver abode for quite a few years. The two creatures are famous for such cohabitation. 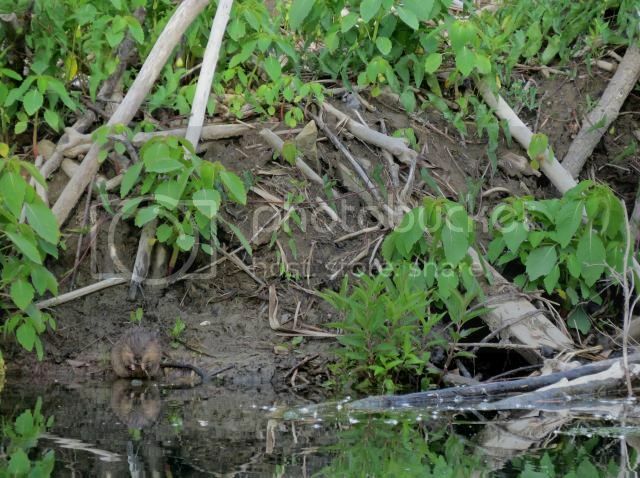 The muskrats in this herd were quite young – probably about a month old based on their size and general stupidity. They “spotted” and smelled me several times. True to their rodent nature, they would sit upright in order to assess the large coffee-reeking form looming over them. Eyesight is not one of their better attributes but still they attempted to fix their beady eyes on their mystery observer. A few even bolted for the cover of the grapevines after perceiving danger, but still they returned. I guess the power of fresh cloverleaf overcomes fear. This food over flight response is why most little muskrats never make it to adult ‘rathood, by the way. 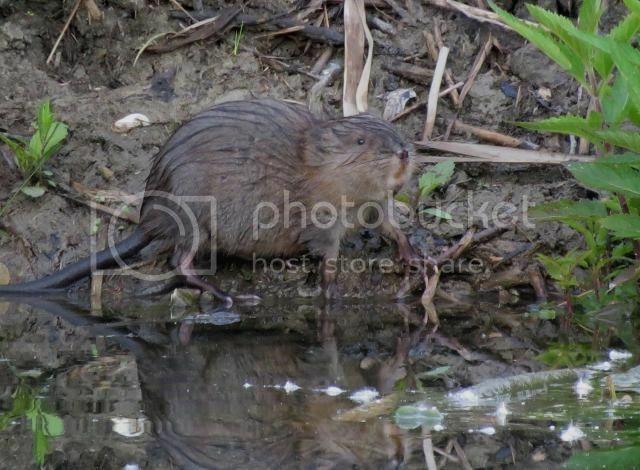 Adult muskrats have the sense to disappear after they sense danger. All they have to do is survive one close call in this whack-a-muskrat world in order to get enough predator-sense to continue. At this stage of life, muskrats lack their full covering of shiny guard hairs. Instead they appear to be clothed in fuzzy pajamas. They are near-prefect miniatures of the adults, but their rounded heads betray their close ancestry to Meadow Voles (aka Meadow Mice). They are, in fact, also close cousins to the beaver themselves. So, in a way I was able to have a near-beaver experience on this trip. 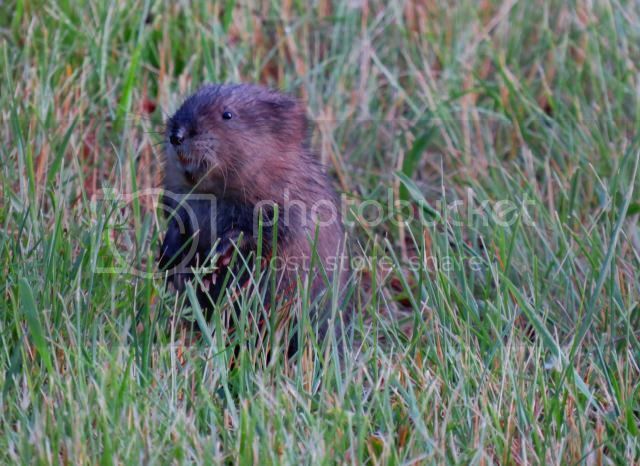 You have to admit, they are cute by any standard – even if they represented a second choice to this beaver watcher.